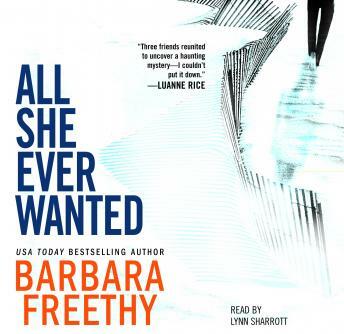 From the bestselling author Barbara Freethy comes a story of sisterhood, secrets, and lies. Ten years ago, during a party gone out of control, beautiful Emily fell to her death, leaving her best friends and sorority sisters—Natalie, Laura, and Madison—devastated. Now, an unknown writer has written a novel that mirrors their story. But who is he, and how does he know the personal details of their lives? None of them has forgotten that night - the role each may have played in Emily's death, the guilt, and the loss they suffer. But why is he accusing one of them of murder?